Crushing kaolin is of great importance and necessary in the world. Kaolin crushing in mining is developing more and more and so kaolin crusher plays a more and more important role in kaolin mining. Output of the un-coal department of natural kaolin, according to their quality, plasticity, and sand content, can be divided into three types that is hard, soft and sandy kaolin in industry. The Focused place of mining kaolin around the world is the United States, Britain, Brazil, the Czech Republic and so on. As the rapid development kaolin mining industry in Brazil, the international Three Kingdoms including the United States, Britain, Brazil has formed. They are not only large countries of refined kaolin quarry producing, but also a major exporter. Our crusher also does well in areas like metallurgy, building materials, chemicals, mining minerals in areas such as grinding materials processing. Kaolin crusher is widely used as pulverizing Machines for crushing kaolin clay into powder. SBM can offer jaw crusher, cone crusher, impact crusher and mobile crusher for kaolin clay quarry crushing plant. 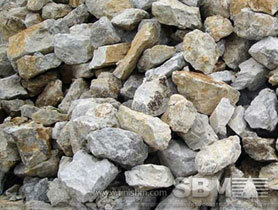 "SBM crusher has excellent performance in kaolin crushing. There are jaw crushers, cone crushers, impact crushers and mobile crushing plant for your choice."